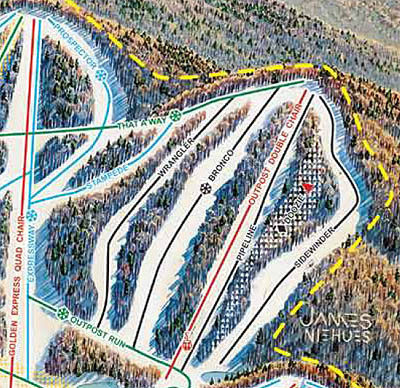 In part to open more expert terrain, the Outpost area was created in 1969. 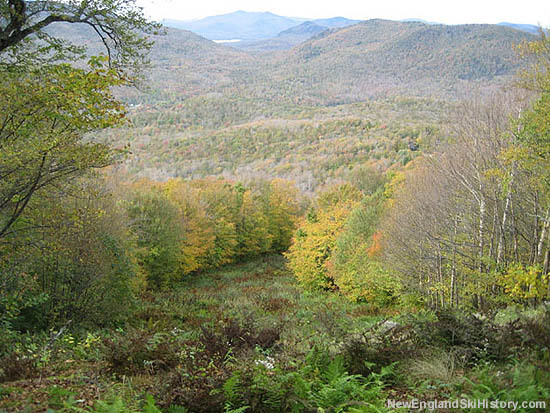 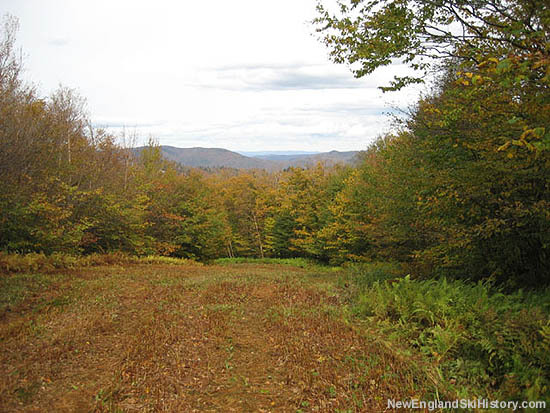 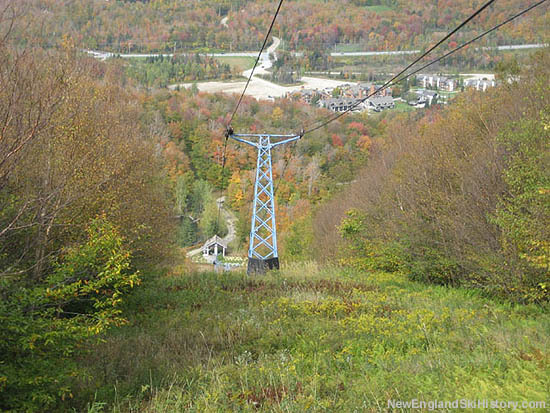 With a core of three expert trails, the new complex provided consistent, albeit short, challenging terrain. 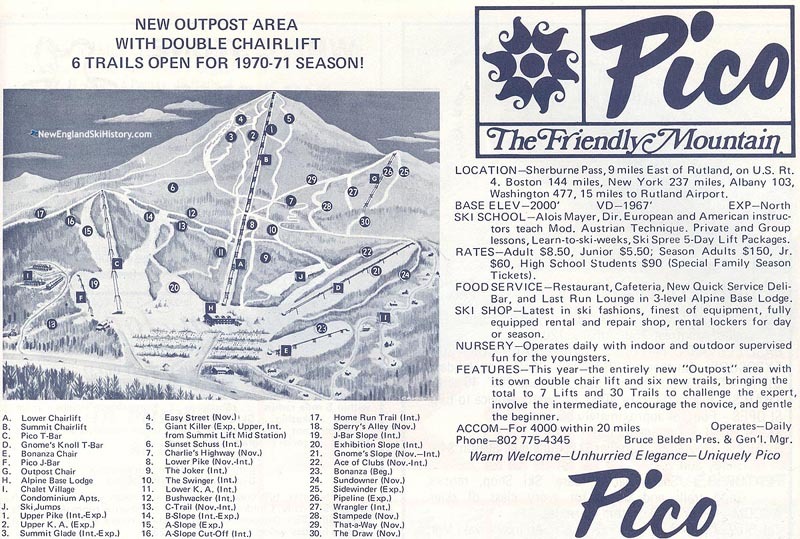 The area was advertised as new in both 1969-70 and 1970-71. 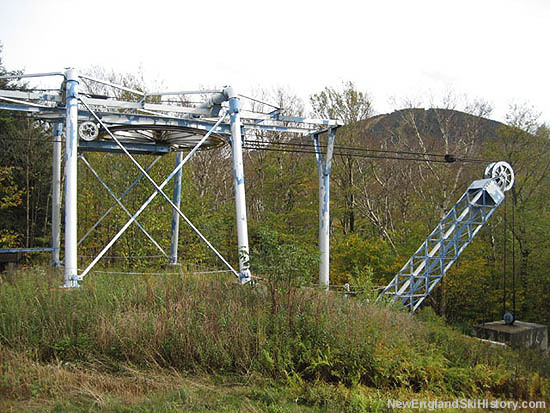 Serving the new complex was a new Carlevaro & Savio double chairlift, 1,532 feet long by 509 feet vertical. 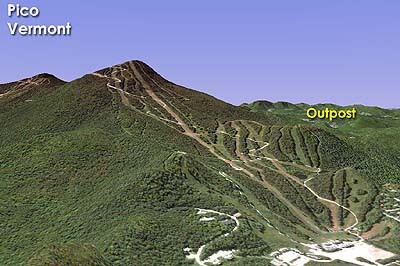 A new expert trail, Bronco, was added to the complex in the mid 1990s. 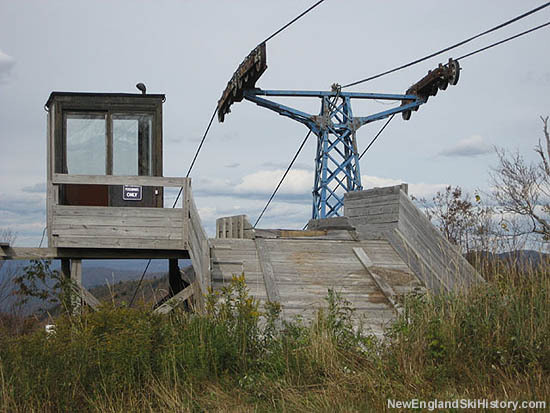 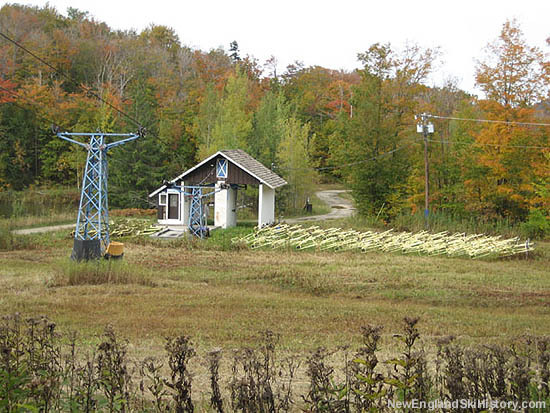 Since the Killington-Pico merger, the Outpost area was seen less use.